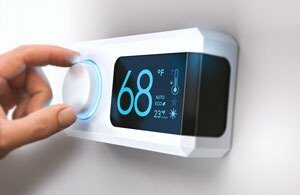 What Is the Ideal Temperature for Energy Efficiency? Maintenance agreements allow your system to keep your home’s temperature and energy bill low. Have you looked into the ways maintenance agreements help you save money while staying perfectly comfortable? It’s true! The better you care for your HVAC system, the better it will perform for you. Higher efficiency allows you to keep your home cooler without wasting energy or driving your bills sky high. Also, note the energy-saving benefits of dropping the temperature at night. Studies show we sleep the best between 60 and 68 degrees. Turning down the thermostat at night also allows the walls and flooring in your home to absorb the cold, which helps keep it cold for the rest of the day. Using a dehumidifier to reduce your indoor humidity levels is an easy way to feel cooler without turning down the thermostat. How? It’s hard to sweat in hot, humid air because there are already so many moisture droplets hanging around. Once the humidity lowers, it’s easier for sweat to evaporate from your skin. You naturally drop your body temperature. Using this technique, homeowners can turn up the heat, save energy, lower their summer cooling bills and still stay cool all summer long. Enroll in one of the area’s top maintenance agreements when you contact our friendly team at Wilson’s Refrigeration & A/C Service today.